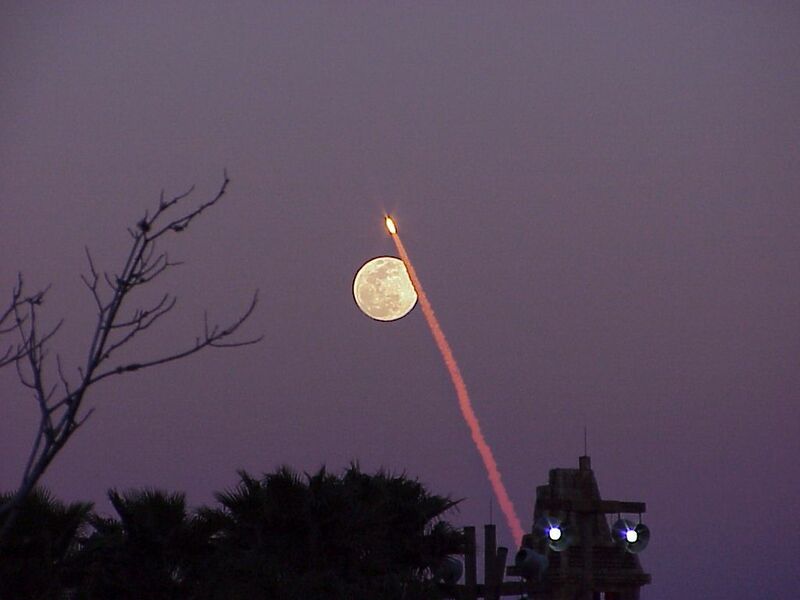 Explanation: As a gorgeous full Moon rose above the eastern horizon on February 7, the Space Shuttle Atlantis streaked skyward towards an orbital rendezvous with the International Space Station. 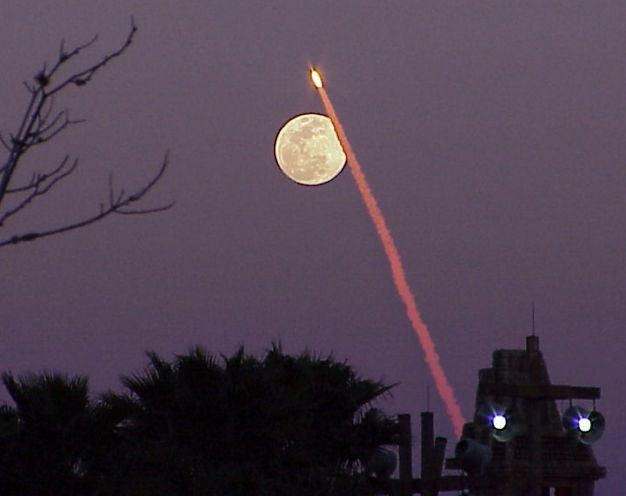 Watching from Orlando, Florida, about 60 miles west of the Kennedy Space Center launch site, photographer Tony DeVito captured this digital image, one of a series of pictures of the shuttle's fiery climb. While foreground street lights flickered on and a clear evening sky grew dark, the shuttle's path just grazed the bright lunar disk. On this mission, STS-98, Atlantis carried the U.S. Destiny laboratory module to be added to the expanding orbital outpost. Atlantis is currently scheduled to return to the space station next month.